The Senate has accused ‎the Senior Special Assistant to President Muhammadu Buhari on Senate, Ita Enang, of changing the contents of the 2016 appropriation bill before making the document available to the lawmakers. Mr. Buhari presented the 2016 budget proposal last December before a joint session of the National Assembly. Senators however told PREMIUM TIMES on Tuesday that the documents presented by the president were missing. The senate later asked a committee to investigate the matter. 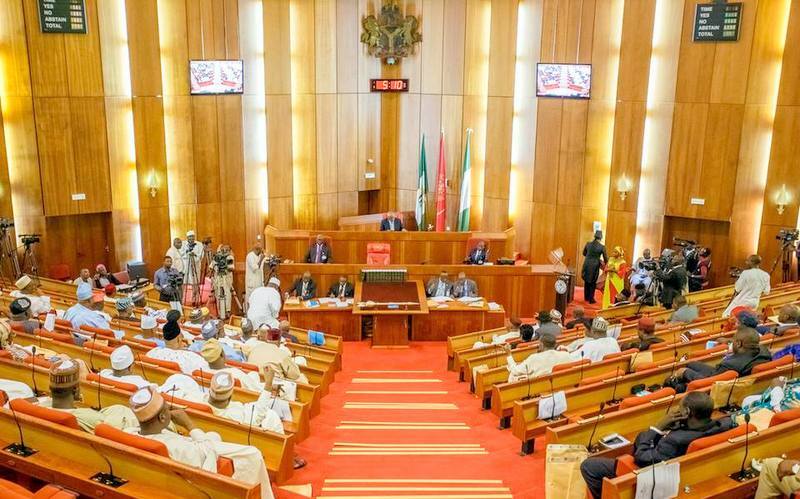 At its plenary on Thursday, the Senate said Mr. Enang, himself a former senator, changed the contents of the original document as presented by Mr. Buhari. The senate president, Bukola Saraki, disclosed this at the end of the executive session that lasted over two hours. “What he distributed is different from what was presented by Mr. President and we have resolved not to address any version until we receive the version presented by Mr. President,” Mr. Saraki stated. The chairman, Senate Committee on Media and Publicity, Aliyu Sabi, further emphasised the Senate allegation when he briefed journalists after plenary. He, however, did not give details of the discrepancies between the said original version and the allegedly doctored version distributed by Mr. Enang.